Whirlpool employees stood for a photo op with representatives of local charities Friday afternoon. 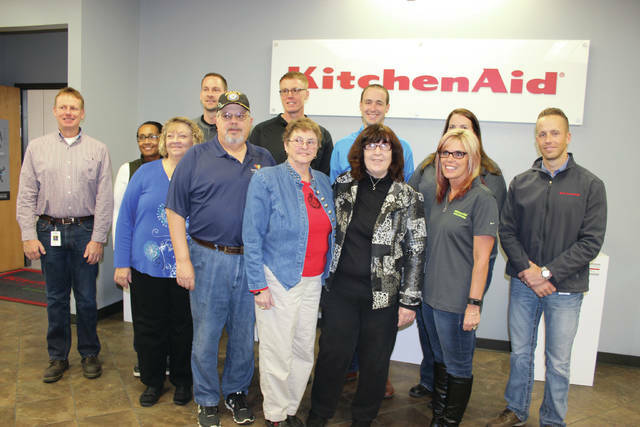 GREENVILLE — Workers at Whirlpool’s KitchenAid plant in Greenville donated checks totalling over $21,000 to three local food pantries Friday afternoon. Funds for the donation were raised by the company’s annual Employee Golf Outing.